Usually I eat an apple with my smoothie in the morning, or as a snack with some nut butter or cheese. 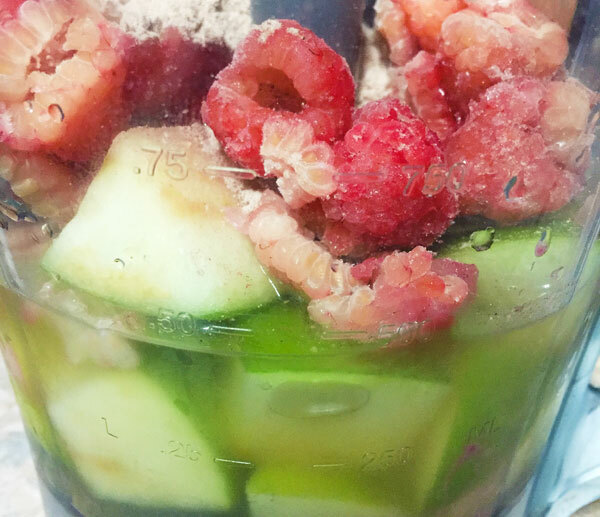 I started adding apples to my blender about a year ago and found it to be so refreshing! A #smoothie a day keeps the doctor away! Few ingredients, powerful benefits! You only need three things for this smoothie! 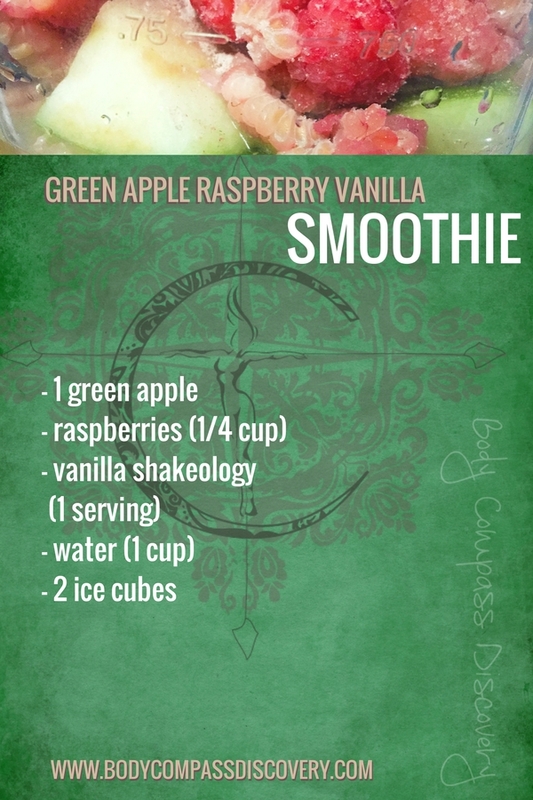 A green apple, some raspberries and vanilla protein powder are all it takes to make up this blend. Sounds simple, but the benefits are much more than that. Green apples and raspberries can help manage weight, protect skin, maintain a healthy heart, prevent cancer and nourish your bones. 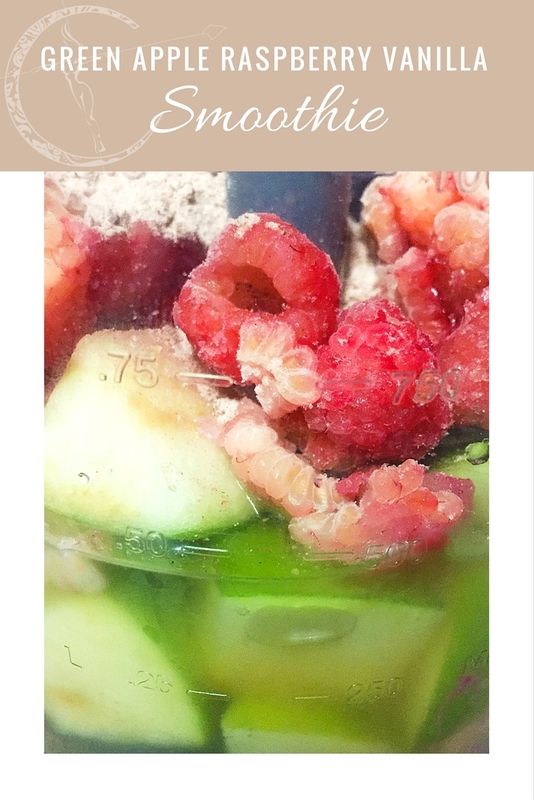 There may be few ingredients to this smoothie but it is full of goodness for you! Plus, I found that apples freeze wonderfully. That means you can put together make ahead freezer packs! This green apple smoothie is already providing some essential nutrients for your day, but why not go ahead and load it up with as much as possible? My key ingredient in a daily smoothie is my protein powder of choice- Shakeology. It has so many fruits and vegetables in it, plus the addition of superfoods, that it is it’s own powerhouse of wholesome sustenance. Of course you can make this smoothie with any other protein powder- but the vitamin rich results will not be quite the same. What protein powder are you adding in to your smoothies? After a few years of searching I have finally settled on a favorite. 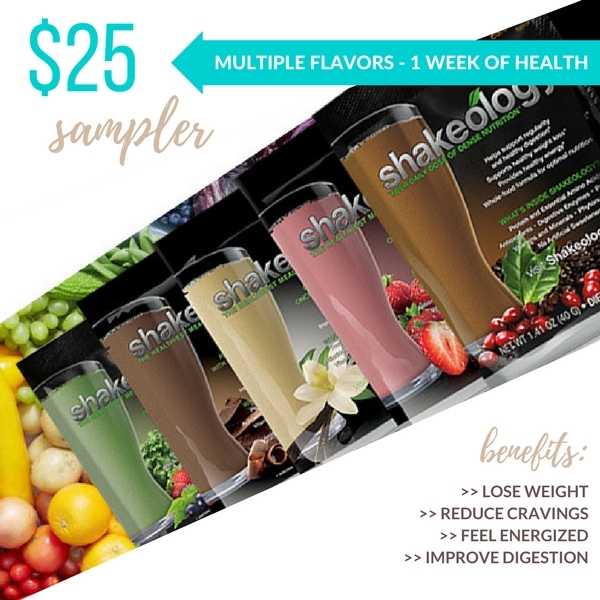 If you want to give Shakeology a try you can easily purchase a week of flavors through me! A sample pack comes in both regular and vegan options.